Today the EMIN bus brought us to Gozo. 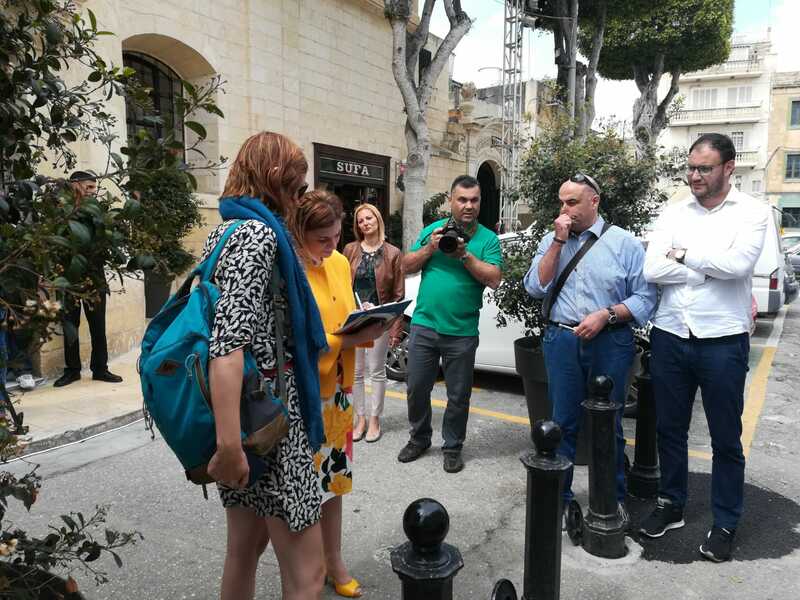 Our friends from Caritas had arranged a meeting with the Minister for Gozo, Justine Caruana, who welcomed us to the island with a flood of words praising the social welfare system of Malta. She did aknowledge though that there is work to be done to face the new challenges: people from Malta move to Gozo to rent houses they can afford since the prices in Malta have exploded due to the arrival of new wealthy migrants that came together with the foreign investments. She also admitted that the arrival of the poor immigrants from North Africa poses problems: the Maltese people who normally show a lot of solidarity towards people who face difficulties, don’t seem to show the same sympathy towards these refugees. We also met with the shadow minister from the opposition, Chris Said. 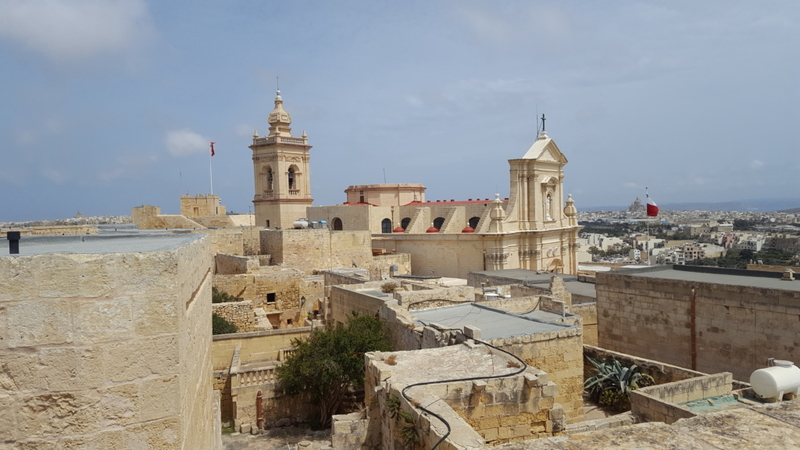 He argued that the Maltese minimum income scheme is not too bad, since at least there is a system of adaptation to the evolution of the cost of living. It is linked to the uprating of minimum wages, based on a social pact between the social partners and the government. But still the benefits do not really keep up with the real costs of life, since particularly the housing costs are increasing at high speed. We discussed about the importance of solid social welfare systems and fair taxation. But both the government and the opposition are not convinced they should do something about the incredibly low corporate tax rate. 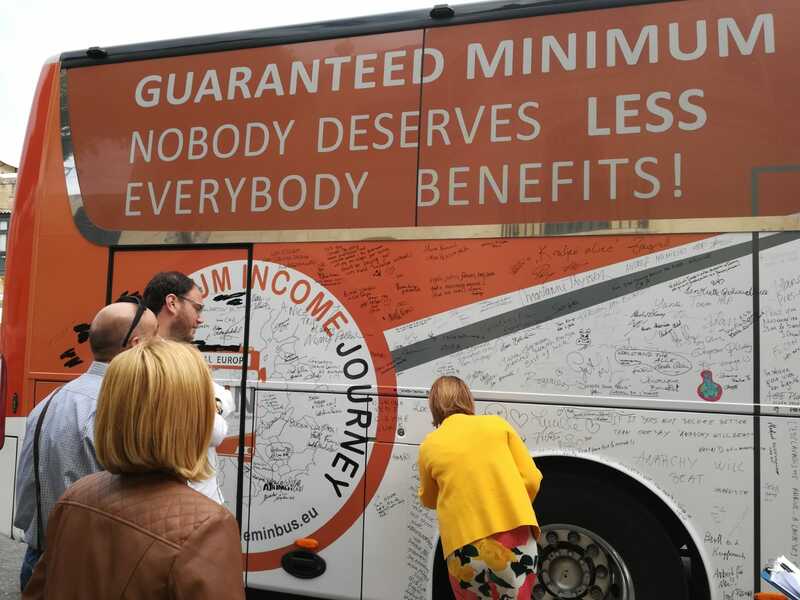 The EMIN bus had the attention of different media since our arrival, from newspapers and TV-channels linked to the two major parties but also the independent onces, such as the Times of Malta and a newspaper from the church. In the afternoon we were invited to visit OASI, a rehab center focussing on substence abuse and alcohol. Beside the medical treatment, provided by the government, this center accompanies people to get their life back on track.